If you don’t stand for something, my father used to wryly intone, you’ll fall for anything. This Christmas, I am weaving a blanket for my father’s legs. For his long legs that walked to work (past the peony bushes, through the gate, while I watched from the back door, small hands waving). Legs that paced the classroom while the scholar taught, pausing, praising an idea with full-bodied exclamation. Legs that pulled my young body through the swimming pool like a raft parting still waters. Legs that traveled the continents, bent to indulge the neighbor’s dog, stood firm in fields of conflict. Legs that now, sooner with each day, are retiring from their labor. They are tucking in, falling asleep, turning out the lights, shutting down. 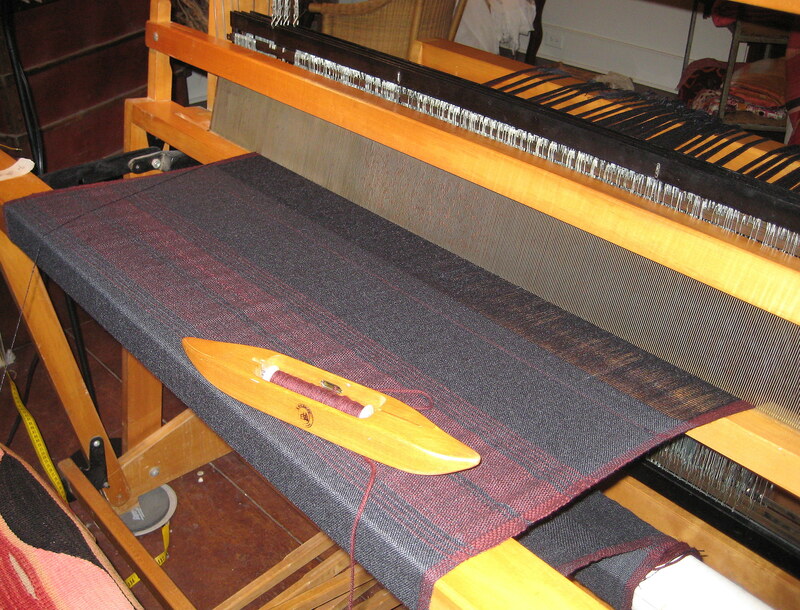 As I weave, each thread on the loom holds a memory of this pilgrim life. Each shuttle passes through them as a prayer of love and letting go. and fell, at last, for love alone. ~ by Stephanie on 12/22/2009. Thanks for the Christmas nitro. I just read this and am so blown away. This was a great idea for a blog — brava to you and Stephanie! oh wow. what a gorgeous, poignant tribute. Beautiful, beautiful, beautiful. Touching delicately in it’s reverence and yet striking at the same time. Took my breath away. Thank you.